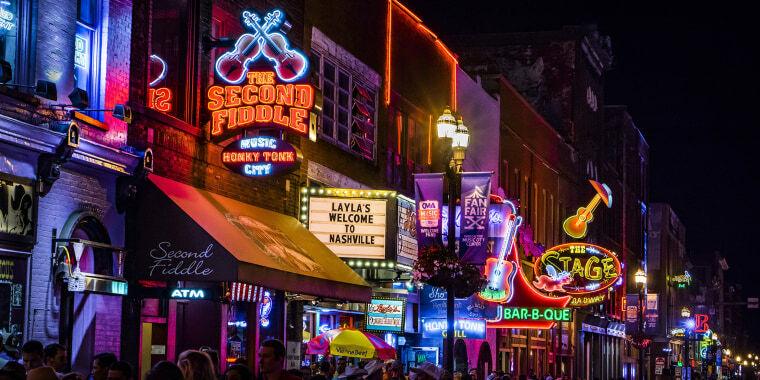 Small but mighty, Music City has plenty for both kids and adults: fun museums, urban oases like Centennial Park, a dynamic culinary scene and, of course, that famous Southern hospitality. You can easily spend an entire day at the Nashville Zoo. Even after you've checked out the animals, which include Andean bears and Galapagos tortoises, there's a ton more fun to be had, like a train ride for toddlers and preschoolers, a tandem zipline tour, and a spin on the carousel. One of the zoo's biggest draws is its massive wooden jungle gym, one of the biggest community-built playgrounds in the country. Along with a 35-foot–high tree house, there are slides, swings and giant tunnel that's shaped—naturally—like a snake. The Adventure Science Center is the locals' go-to rainy day spot, and it should be yours, too. Whether you've got a toddler or a tween, there are lots of things to keep them occupied, including the Space Chase exhibit, where older kids can simulate both moonwalking and weightlessness. At Destination Exploration, an area for kids 5 and under, there are sensory experiences like pool noodles they can walk through, and imaginative play areas like a track where they can build a race car. With more than 2 million artifacts such as instruments, recordings and even Elvis's Cadillac, the Country Music Hall of Fame & Museum will certainly appeal to die-hard fans of the boot-scootin' genre. But the children's activities are so much fun, your kids might just become fans themselves. They can complete a scavenger hunt for prizes, take a songwriting class and watch a writer pen a tune on the spot, and record and remix and their own karaoke music on the Taylor Swift Tour Bus, a.k.a. the recording studio. It might be glamorous, but the Hutton Hotel in midtown is also kid-friendly, with parental perks that help offset the splurgy room rates. With the airline check-in and luggage transport service, the staff will print and deliver boarding passes, and you can drop your bags in the lobby before your flight and not worry about them until you reach your home airport. The hotel also has a fleet of chauffeur-driven towncars (one is Tesla! ), and short rides around the neighborhood are complimentary. Brand-new in 2018, the Cambria Nashville Downtown is exceptionally well located in SoBro (south of Broadway). Rooms are fun and funky (wallpaper has a gold-toned speaker motif), there's a pool on the fifth floor, and it's a quick walk to heavy hitters like the Country Music Hall of Fame and the Bridgestone Arena, home of the Nashville Predators hockey team. Settle in at Nashville Biscuit House, an old-school diner in East Nashville that serves breakfast all day. The biscuits are delicious and your bill won’t break the bank no matter how much you eat. Gigi’s Cupcakes come with not one, not two, but three layers of delicious frosting. The owner, Gigi Butler, is a Nashville local and you might even spot her in the Nashville shop. Best-selling flavors include Wedding Cake, Scarlett's Red Velvet and the chocolate-heavy Midnight Magic; gluten-free and cheesecake varieties are also available.